Last 10: 1-8-1 with 9 losses in a row. The Blackhawks are +2 in point differential with 176 goals scored and 174 given up. I know that Niemi wouldn't start all 57 games and all this is are a bunch of "could be" and "if's" but its just a rough idea what it could be like with average to good goaltending. 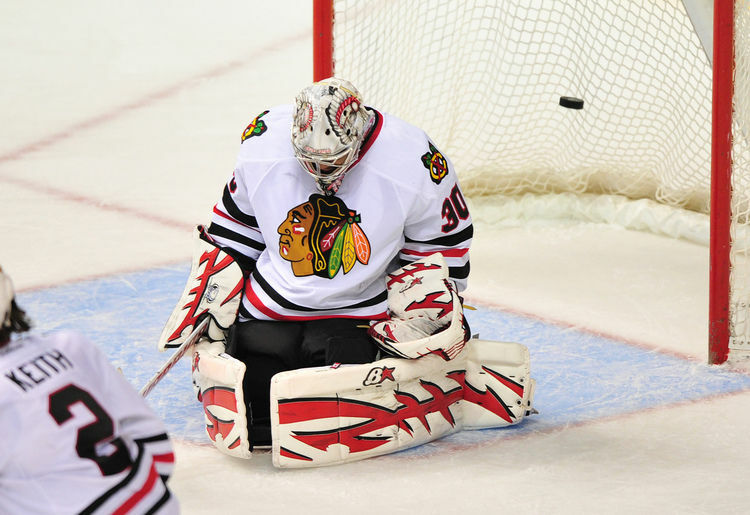 Thought on tonight: Overall, I think the Blackhawks played better, but goaltending wasn't good enough. Nashville only had 19 shots, 3 of which were goals. Its not going to get easier. New York Rangers are next, followed by Columbus which should be the first win after a 10 game losing streak. But after that its St. Louis, Detroit, Dallas and LA. I attended a local community college and took several journalism classes while I tried to figure out what I wanted to do. Now I'm focusing on becoming a sports radio producer. I love the Blackhawks, Bears and Bulls. Not a big baseball fan but its probably due to the fact the Cubs are bad. I DO like soccer.